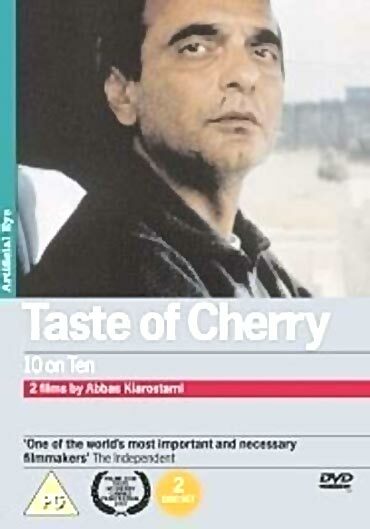 Watching Taste of Cherry is an intensely claustrophobic experience. Shot on digital film mostly from the inside of a car, it follows a middle-aged man, Mr Badii, as he spends a day driving around the charred, industrial hilltops on the outskirts of an Iranian city. With lengthy takes of seemingly unscripted dialogue, he engages a series of men – a worker, a plastic bag collector, a young soldier, a guardsman, a trainee priest, and a taxidermist – in small talk, trying to lure them into his car. If he succeeds, he drives them to a shallow grave on a secluded hillside and makes them a proposal: in return for a large amount of money, they are to return to the hillside at 6am and call out his name. If he answers, they are to help him out of the hole. If he does not, they are to cover his body with twenty spade-fulls of earth. So in one sense the film is a character portrait of a man preparing to end his life, though any intimacy we gain is by virtue of sheer proximity. We spend a great deal of the film quite literally looking into Mr Badii’s face from the passenger seat. Kiarostami filmed a lot of the footage by just driving around with him, pointing a digital camera in his face, and we certainly get an insight into his manner and small-talk, the morbidly quotidian chat-up he uses to disarm his passengers enough to make his offer. But we know virtually nothing else about him or his reasons for wanting to die. In this sense he functions in part as a constant, an inscrutable premise. For the first half of the film at least, the narrative tension doesn’t really come from whether or not he will follow through with his plan to kill himself, so much as the varying reactions of the passengers to his proposition. The only revealing piece of biographical information we glean is when he tells a young soldier that he looks back upon his military service as the happiest period of his life, a time of friendship and companionship. Now, we infer, he is wretchedly lonely, and it seems reasonable to presume that this is part of his suicidal motivation. But though this interpretation is implicitly encouraged, it is not substantiated in any way. It’s also perfectly conceivable that Mr Badii was either never in the army, or was and hated it, and merely makes his claim as a way to disarm the young soldier. The film trades on this kind of elliptical uncertainty, refusing to give us the sort of easy answers that allow us to stop thinking and questioning. Indeed, the film uses uncertainty to explore the two-edged sword of our connections with other people. On the one (pessimistic) hand, it reinforces our insurmountable isolation, the impossibility of ever having true access to the thoughts and feelings of another human being. Mr Badii spends most of the day being confronted with barriers, trying to chip through the guardedness, suspicion and awkwardness of the people he meets to attain a sufficient state of intimacy that will allow him – with no small amount of grim irony – to persuade his passengers to help him end his life. When asked about his reasons for wanting to kill himself, Mr Badii replies that it is pointless to explain since even if another person were to know the events that caused it, they would still be incapable of feeling his pain. Yet we are also presented with an optimistic counterargument in the form of the final passenger (the taxidermist), who embodies warmth and disinterested concern. He tells Mr Badii the story of his own attempted suicide when, having given up all hope in life, he went out one morning to hang himself from a tree. However, having climbed the tree he picked a cherry and tasted it. He suddenly realised that he was staring out at a beautiful sunrise. Some school children came and asked him to shake the tree, and cherries fell down for them to taste. Suddenly he no longer wanted to die. So the protagonist is presented with two opposing arguments – the cold, pessimistic logic that dictates that one person is damned to solitude, and the human, epicurean counterargument that says we can overcome this isolation through sense experience, or good old fashioned faith. With the apparent simplicity of a medieval morality tale, the film sets up for its final scene as an either/or, preparing us for either a consummation of the ruthless logic of philosophical pessimism, or the leap of faith that will give him the strength to carry on. 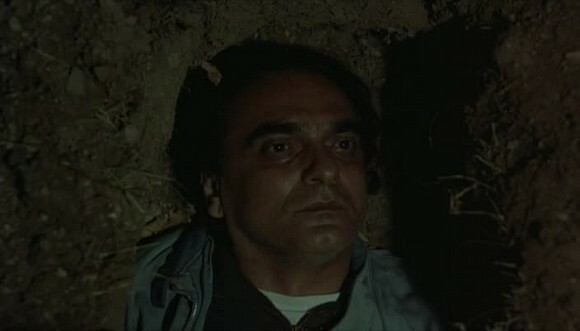 And then, having meticulously built to this final scene, Kiarostami pulls out the rug. We are faced with a final shot of the protagonist’s face in the shallow grave, eyes open, from which it is impossible to tell if he is dead or merely waiting for the taxidermist to arrive and help him up, symbolically and literally, out of the hole. After a lengthy blackout we switch to a mise en abyme, showing the shooting of the film – with the actor, Kiarostami himself and the crew conversing by the hillside, shot on grainy hand-held film. We then pan round to the group of soldiers whom we have previously seen marching in the film, ‘off-screen’, larking around looking happy. The critic Roger Ebert, who hated the film, saw this as a tacky gimmick, the sort of postmodern ‘distancing effect’ that does nothing but ram its own cleverness down your throat. Unfortunately he completely misses the point. As in Nabokov’s wonderful short story Signs and Symbols – also concerning suicide – Kiarostami is in one sense setting the artificial logic of the narrative, which invests images with significance and symbolism, against the resistance of events to this form of explication. The structural similarities are striking. 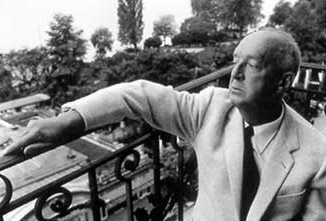 Nabokov’s story is about a suicidal young man who suffers from ‘referential disorder’ in that he thinks everything in the world – every sign and symbol – refers to him: ‘Everything is a cipher and of everything he is the theme’. The short narrative ends with a phone call to his parents, which we are invited by the structure of the story to presume will be the hospital informing them of his suicide. But in taking up this hermeneutic invitation we would be suffering from a form of the same referential mania from which he suffers, falling victim to the bad faith of fiction’s artificial structures of meaning and causality – faith in which, it is implied, would constitute a form of insanity. 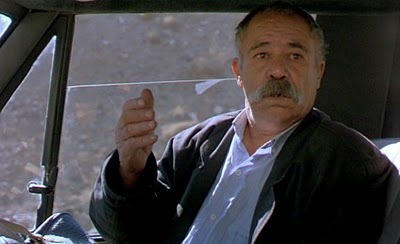 Similarly, Kiarostami meticulously builds up his narrative to the either/or final scene in a way which confers potential inevitability on one of two outcomes: the logical death-spiral resulting in suicide, or the leap of faith leading to redemption. Depending on our reading, there is evidence in the signs and symbols of the preceding narrative for the structural inevitability of either outcome. On the one hand, the flashes of human connection that illuminate the stilted interactions, the warmth of the taxidermist, the beautiful shots that we and the protagonist witness as he sits by the graveside. On the other, the rigid logic that makes these transient comforts meaningless in the face of death. Like Nabokov, in letting us make our own decision about the outcome, Kiarostami reinforces the disjunction between the structures of art and the structurelessness of life. Kiarostami could have achieved this effect if he, like Nabokov, had simply ended on uncertainty, leaving us to decide the outcome. Yet the complexity is multiplied by the closing image of the soldiers. The effect of showing us the group of smiling soldiers transplanted from the parameters of the narrative is to relieve them of their symbolic function and show them to us as a free-standing image. It undercuts the arbitrary meanings we impose through the narratives we construct – both good meanings, in the sense that they make life explicable for us, and bad meanings, in that they can trap and suffocate us, imposing inevitability where it may not otherwise exist. Yet even outside of the narrative boundaries, the image of the soldiers cannot be merely an image. It confers a kind of choice upon us that in itself demands allegiance to a paradigm. Does the group of soldiers evoke the happy period of the man’s life in the narrative (implying the ascendancy of the optimistic interpretation), or did this period never even exist and arise simply from misinterpretation (reinforcing the pessimistic interpretation)? There is no answer, and the image serves to suggest multiple philosophically loaded meanings while reinforcing its own essential meaninglessness. And within the context of the paradigm created by the film, this could be ‘bad’ meaninglessness leading to despair, or ‘good’ meaninglessness undercutting the logical death-spiral driving the main character to suicide. It is up to us to confer meaning on what we see, but – as Kiarostami shows us by ripping down the barriers between what is and isn’t a part of the plot – we can never do so free of artificial paradigms.